Minute Men Gun Racks- offers lockable gun racks. 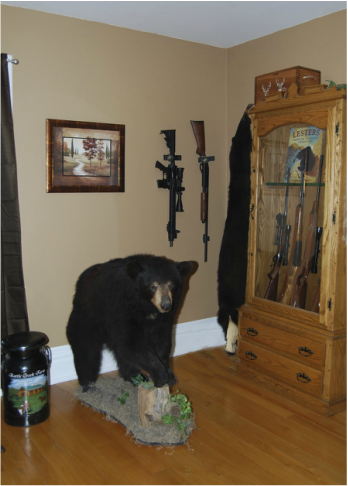 Safe Secure Storage Solutions -Made in the USA. Gun racks are shipped USPS priority mail and usually arrive within a few days. We are proud to have sold our gun racks to numerous local, county, state and federal police agencies. Our racks have also been shipped to our dedicated members of the military serving in the Middle East. 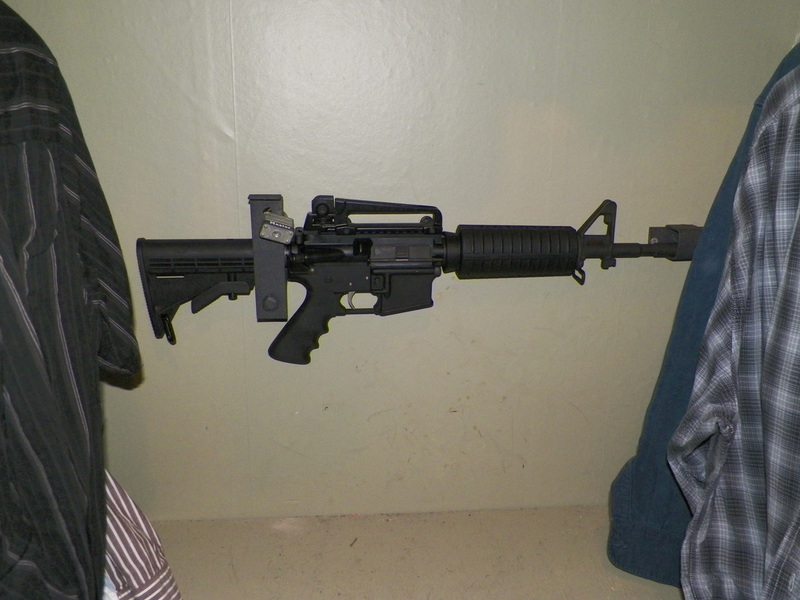 Horizontal mounted rifle in a closet .... safe, secure and ready !! 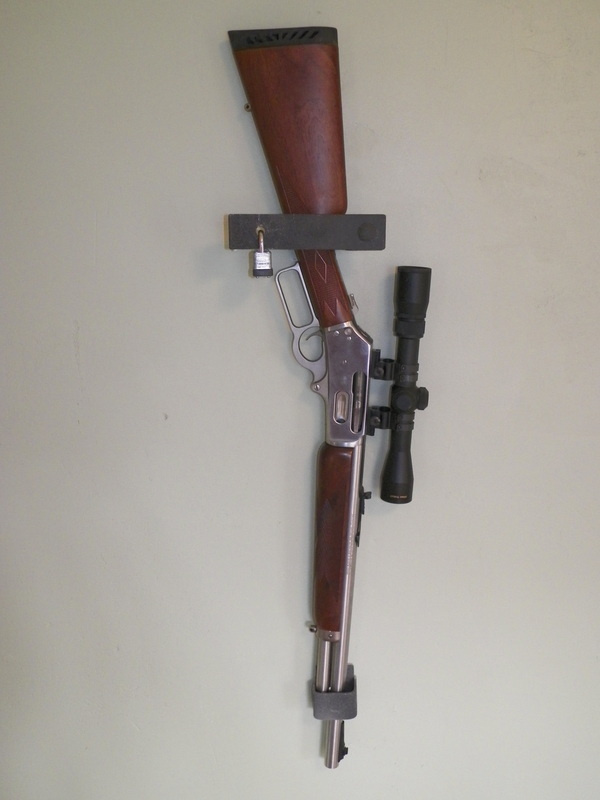 Vertical Mounted Rifle Displayed On a Wall locked with the Master Lock keyed padlock. Pistol secured in the pistol rack with the Master Lock Speed Dial Lock.